Last night, the 2015 Boys & Girls Clubs in New Jersey Youth of the Year competition offered a glimpse of the potential among teens in New Jersey. 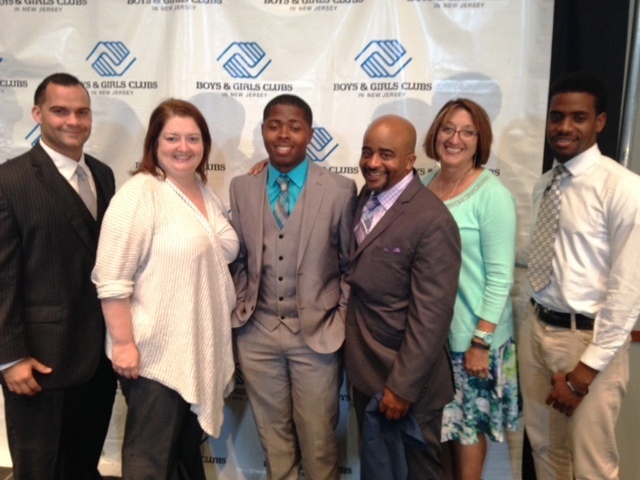 Our own Youth of the Year Darnell Butler was one of 19 teens competing to represent the state in regional competition. Of these young leaders, Jennifer Negron of the Boys & Girls Club of Vineland was chosen as the 2015 New Jersey State Youth of the Year! There is also a Military Youth of the Year competition, and that recognition went to Marcel Tyson of the McGuire Youth Program. Eventually, a national 2015 Youth of the Year and 2015 Military Youth of the Year will be selected, but, yesterday, it was Jersey’s time to shine. Good luck to our winners and congratulations to all of the participants and their mentors! June 10, 2015 in New!.